The Southend Branch was formed in 1988 although there had been a branch in the Southend area since 1974. After Colchester, Basildon and Brentwood Branches closed we changed our name to Southend & Essex Branch. 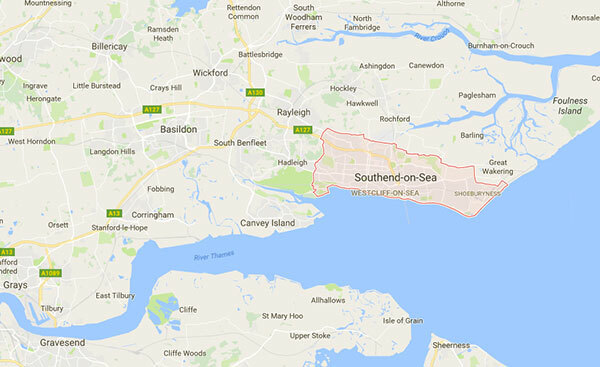 The Southend & Essex Branch meet on the first Tuesday of each month from 10am until 12noon, at 59 Silversea Drive, Westcliff. Transport can be arranged by Dial A Ride or taxis. London Road A13 bus route stops only five minutes walk away. Our house is accessible with a ground floor toilet. Next meeting dates are: 7th February; 7th March; 4th April. New members are welcomed. Southend & Essex Branch raises its money by carol singing at local railway stations and in Southend High Street on a Sunday before Christmas. Over the years Southend & Essex Branch has been represented on the Southend Access Committee and the Southend Federation for the Handicapped. Unfortunately both committees have now closed through lack of officers. We currently attend the Essex Visually Impaired Planning Group; this meets three times a year in Chelmsford. We also attend the Southend Bus Users Group. From time to time we attend consultation meetings organised by Southend Council on various planning issues. We have raised over £2,000 for the local theatres to provide audio description at our two local theatres. The work has still not been carried out to provide this service. We work with the Police and the Police Commissioner to stop pavement parking and cycling on pavements. Over recent years we have had speakers at our meetings from Southend Library, Southend Social Services where we queried the length of time between registration of blindness and the time the blind person had to wait for a visit. Paul Matheson Head of Transport & Planning has visited the Branch many times and we have been on site visits with him. In the county we have stopped shared space schemes at the planning stage in Clacton, Chelmsford and Hadleigh. Despite the consultation process in Southend on two shared space schemes our views and the views of Guide Dogs were ignored. Many accidents have been reported in both areas and surveys taken. These do not show up those people who will not use the shared space schemes as they are too dangerous. This applies to pedestrians and drivers. We also attend the Southend Old Peoples Assembly each quarter which covers many of our campaigns. From time to time we start our meetings with a fish and chip supper and on Pancake Day we have pancakes made by Alvin, our Treasurer. We advertise our meetings on the local talking newspaper each month. We hold a raffle at each meeting, the money going towards the cost of our transport to meetings. Our campaigns are well known as Jill Allen-King OBE, the Branch Secretary, is frequently on BBC Essex and in the local newspapers. Working with the Southend Pensioners Campaign we have restarted our petition against shared spaces which we started in 2011. Any person wishing to attend our meetings should telephone 01702 477 899.